It’s B&T’s List Of The Best April Fools’ Brand Pranks Of All Time! In this fast-paced media world sometimes stories float around the internet that are just too good to be true. And on the 1st of April, they probably are. at B&T we love a joke so long as we’re not on the end of it. and to celebrate the day of fools we’ve compiled a list of the very best april fools jokes by brands who we thought we could trust. Every year, the original and the biggest Internet pranksters always out do themselves. Some classic Google pranks include scratch and sniff “Google Nose“, with a “safesearch’ option to avoid those unsavoury smells. “Google Gulp“, a delicious beverage that would optimise your google search by increasing the drinker’s intelligence. “Google animal translator” which claimed to bridge the gap between humans and the animal kingdom. This year Google held a “press conference” in Japan to announce its latest technology product: Google Panda. The new product is an on-the-go search device wrapped up in a cuddly panda toy. Google maps has also turned the entire world into one giant Pac-Man game. Last year Honda announced a released a promotional video for their new “HondaHair”, a vacuum haircutting device for busy people. Proving that once again, we will trust anyone wearing a white coat. Uber continues to out-think taxi companies with its new partnership with Toms shoes. The initiative called shuberX is not only great for the environment and #fitspo, but you can live out your Flintstones fantasy. Imagine: you’re about to cook dinner but you can’t find anyone of your knives? Sounds plausible. Well luckily Samsung has announced its new Galaxy Blade Edge. The knife is waterproof (unlike its phones), ergonomic ceramic, diamond-edged and will cut, chop, slice and dice up to 50% faster. Plus the disclaimer explains that “no mammoths were killed for the handle”. It’s a little bit cruel to prank coffee addicts. But in 2010, Starbucks announced two new drink sizes, the 3.8 litre ‘Plenta’ and the 60 ml ‘Micra’. Even though, disappointingly, Virgin Group didn’t buy the former planet of Pluto “for an undisclosed sum”, it is offering the latest in climate control and luxury. Plus you get to see Richard Branson’s hair blowing lusciously in the wind. We were all happy little Vegemites when Pedestrian TV announced that a 60 metre tall vegemite jar would be built in Melbourne. The Internet also exploded, because clearly it was a prank. UK department store John Lewis announced The Scanning Computer and Mirror (SCAM) system (the first clue) that would scan shoppers and provide their precise measurements. UK financial website, This Is Money, ran the story claiming that the scanners were “similar technology to that used in airport, but leave little to the imagination, so staff are being give intimacy training”. Gluten-free gluten sounds like a dream for the gluten intolerant. And a nightmare for everyone else. 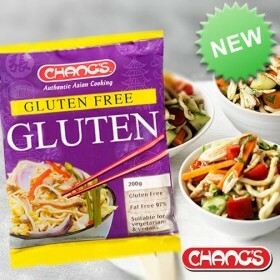 Asian food brand Chang’s makes gluten dreams come true with its latest “scientific breakthrough” including such delicious and enticing products like: “taste like chicken gluten-free gluten” and “mystery gluten free gluten”. Yum.